Wellbeing Survey - Please share your opinions today! 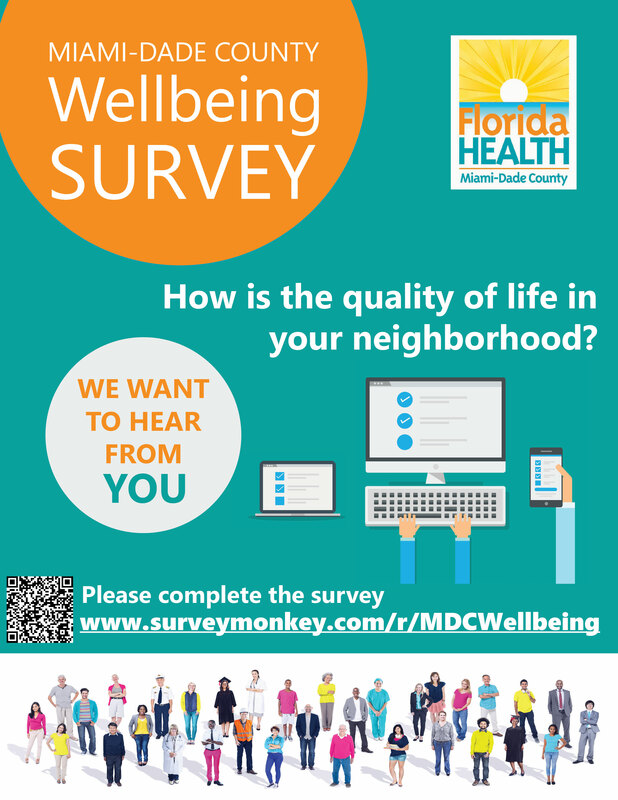 The Florida Department of Health in Miami-Dade County is conducting a Wellbeing Survey to identify the needs, opinions, and views of Miami-Dade County residents as it relates to the communities where they reside. The feedback of our residents is vital in helping us identify the most important issues facing the community. How is the quality of life perceived in the community? What assets does the community have that can be used to improve community health? The survey will remain open until the needed responses are received. Enclosed please find the Wellbeing Survey flyer. Please feel free to disseminate it to your staff members and community partners. Please share your opinions today!